Hey, everyone. I just wanted to share a really awesome piece of fan art that we received this morning from Chris Bischoff. 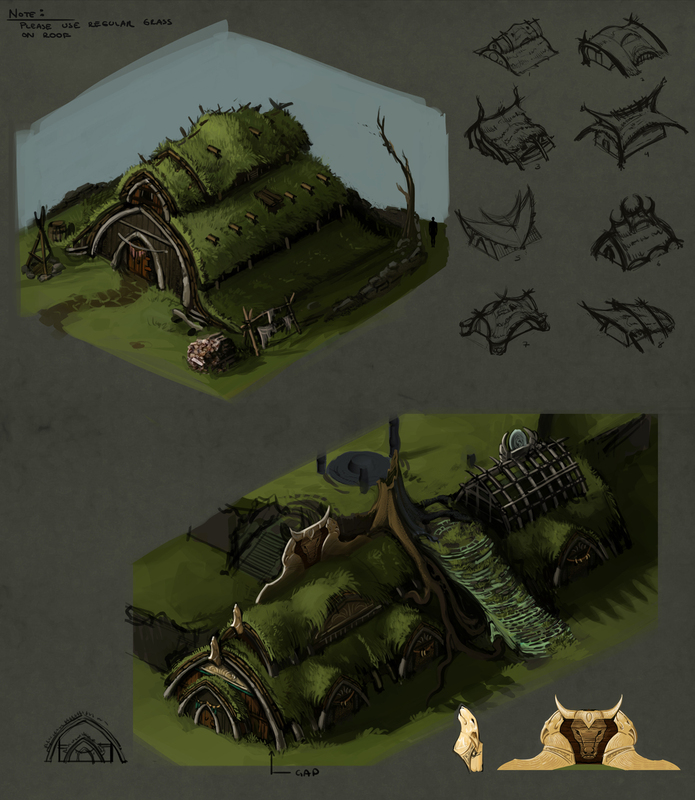 It's inspired from the Twin Elms concepts that we released in our last update. If Chris' name sounds familiar it's because he has his own Kickstarter going for the game STASIS. If you haven't checked it out yet you should. What's not to like about a 2D, isometric, sci-fi, horror adventure game? It's in its last few days so lets help him push it over the edge and get it fully funded. This makes for a nice desktop background. Very good. Some weird dollar amounts for the pledges. Is that a currency conversion thing from a different currency? Not asking for outrageous money though, so I took the dive (Plunge? Whatever). You obsidian guys & gals should hire him for some outsourced art, when he's got free time. I backed stasis as well. Amazing art!!! hope see this place somewhere in game. Sweet! The light rays don't line up with the shadows, but who's counting? 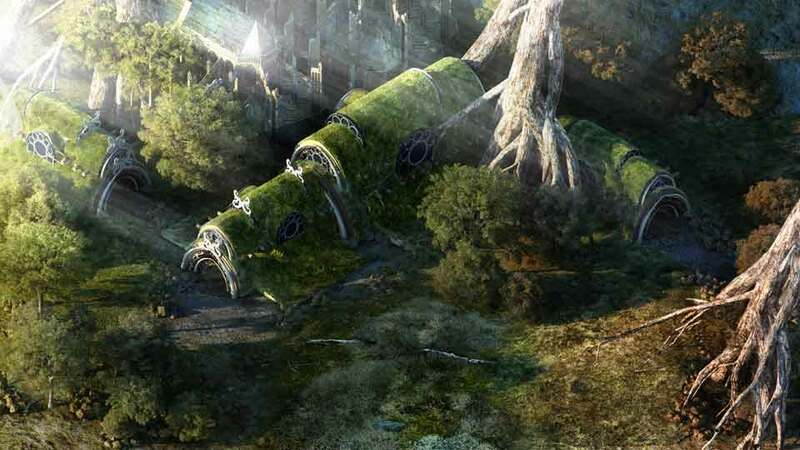 Chris is a great environment artist, his Wasteland 2 concept stuff is also fantastic. I believe he primarily works on movies though. Edited by Sensuki, 02 December 2013 - 09:46 PM. Ohh i was wondering what happened to the game, since i saw it on Gamespot last year. I didn't know it turned to kickstarter. Once i get home i'll check the alpha demo and probably back it. what a great move before his kickstarter ends! ...and I backed Stasis! I love the Alien-movies, especially Ridley's first one, and we get neat music by Morgan, as well as breath-taking 2D.art by Chris. Yay! I was kind of really hoping that obsidian would be able to add such dynamic lighting to eternity maps, where you would be able to have mornings or evenings looking like that, since i presume there will be day/night cycle. But you can't do that with 2d images as far as i know. Beautiful! I'm happy to say I've already backed Stasis. It's looking really awesome! It's not actually apparent where the origin or the rays is. With a little effort I can see them line up with shadows or even come from behind my left shoulder. Anyway, Stasis still needs $400, so looking good, hope it goes well over. I'm not backing myself because of the horror tag, I get my cup overflowing with zombies as is. I'd love to see a sci-fi rpg with a more star-trek, buck rogers, space 1999 vibe and with minimum of the dark corridors with slime and gore. You realize that Alien (1979) is considered a Horror/Sci-Fi, which is the game's primary influence. Horror is all about what is not shown. There is absolutely no correlation between zombies and horror. Edited by Sensuki, 03 December 2013 - 06:46 AM. That is some nice looking art. too scary experience for me to enjoy. And the correlation is there, though horror obviously doesn't equal zombies or gore. Dead Space - zombies, Mass Effect - zombies, any damn sci-fi or rpg game ever made - zombies. And Stasis screens show splattered people, that's gore to me. Brightly lit rooms with green martians shooting bright lasers for me thank you. Edited by Jarmo, 03 December 2013 - 07:07 AM.